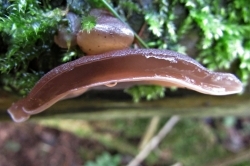 Very common and can be found year round, usually most abundant in January and February when there is not much else about. 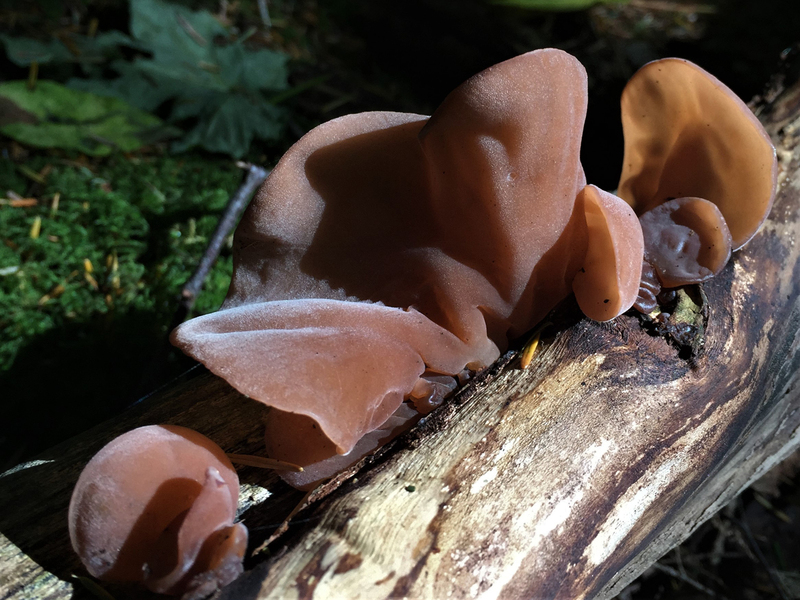 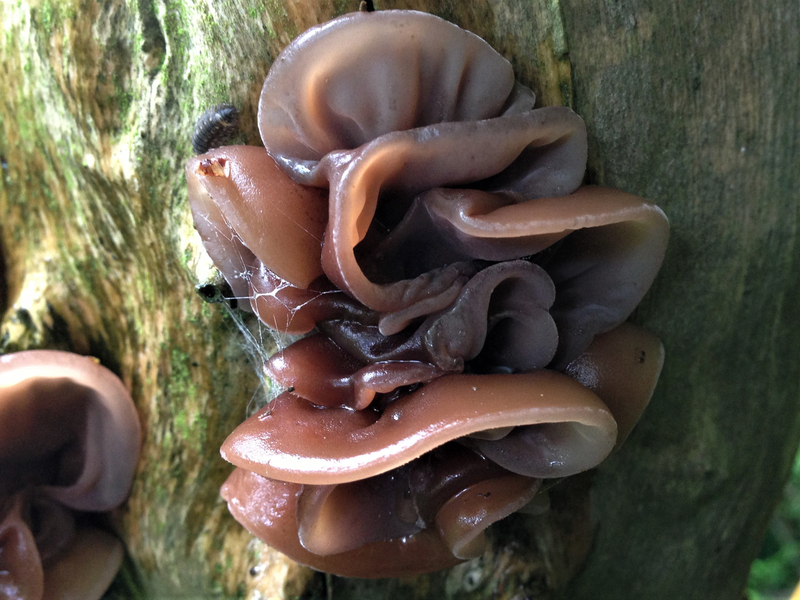 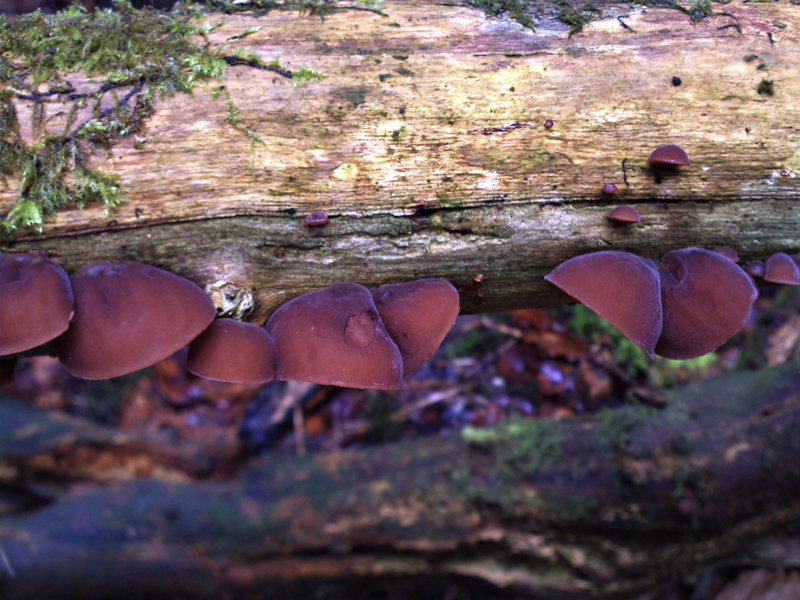 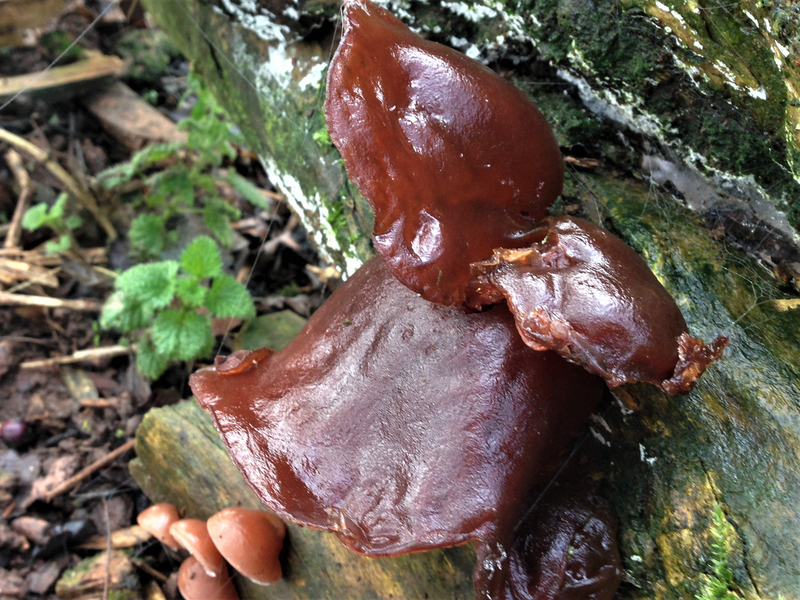 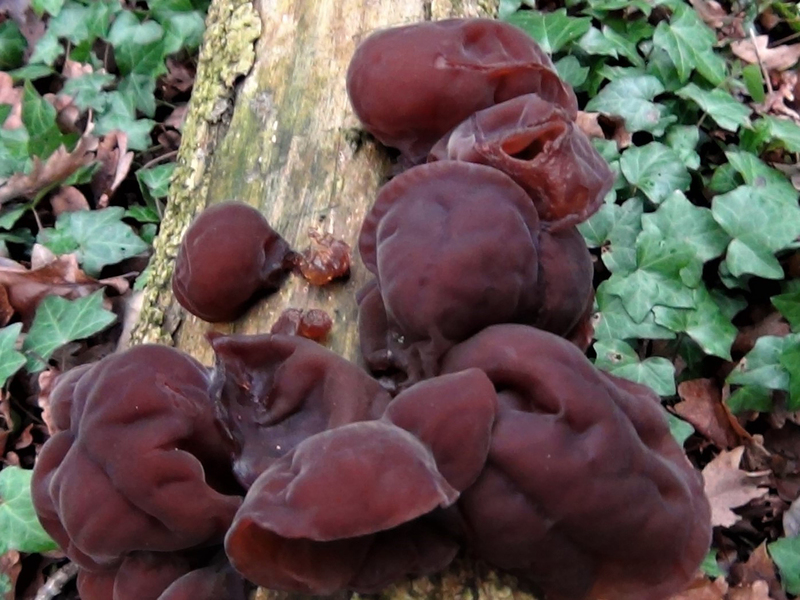 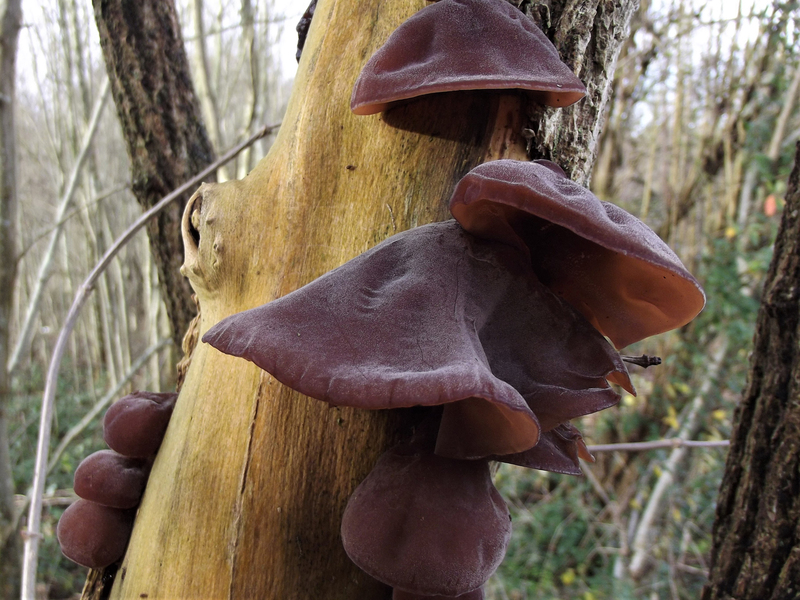 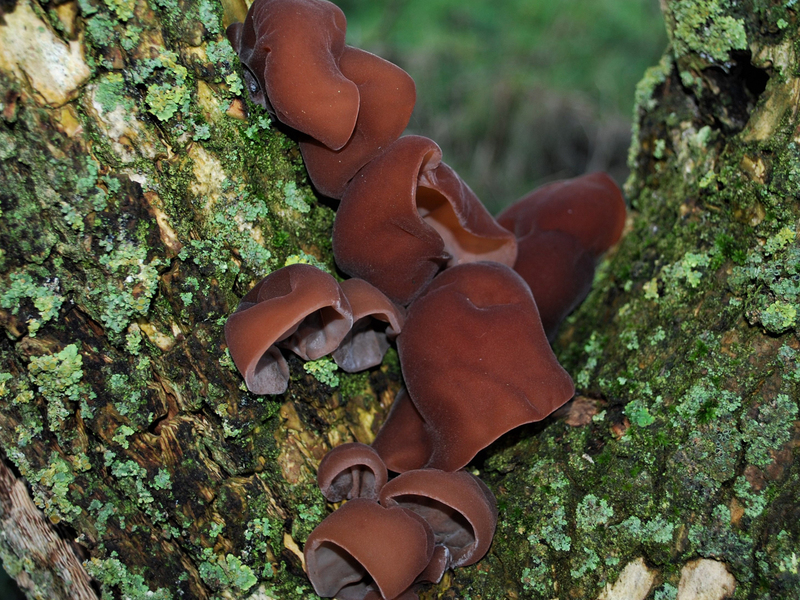 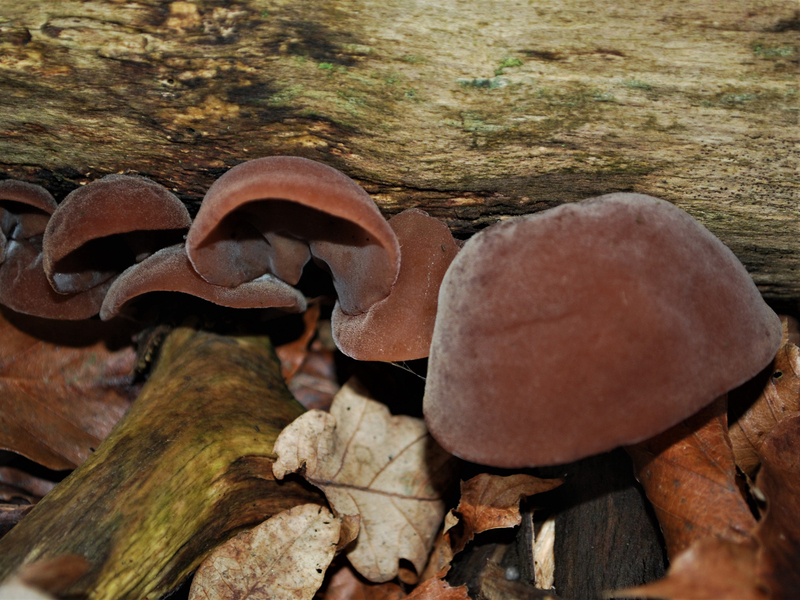 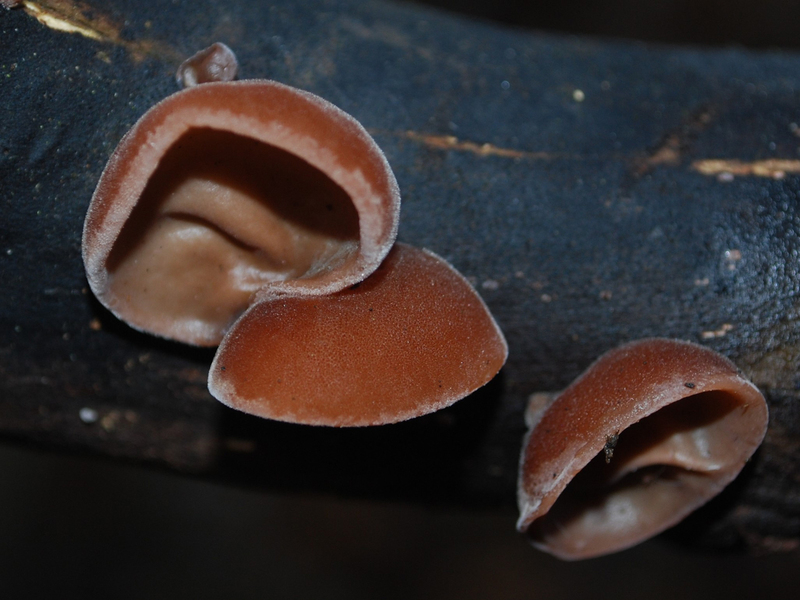 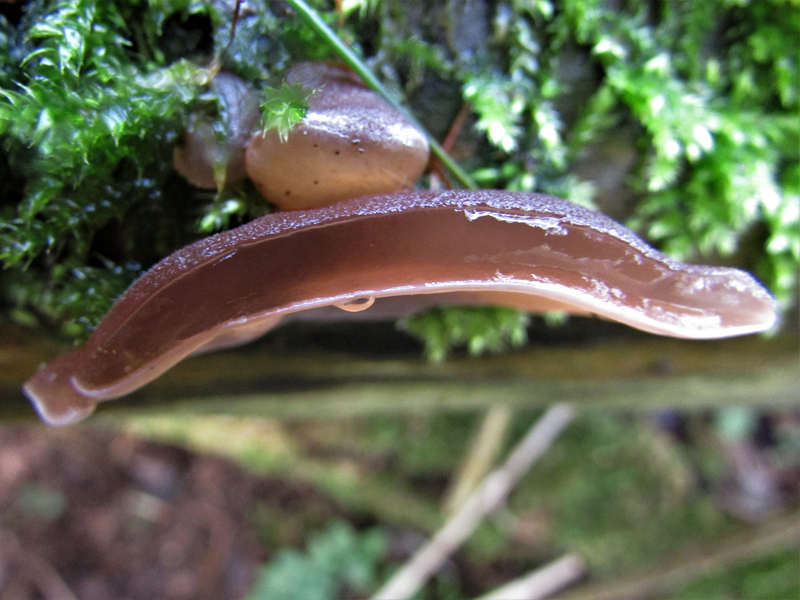 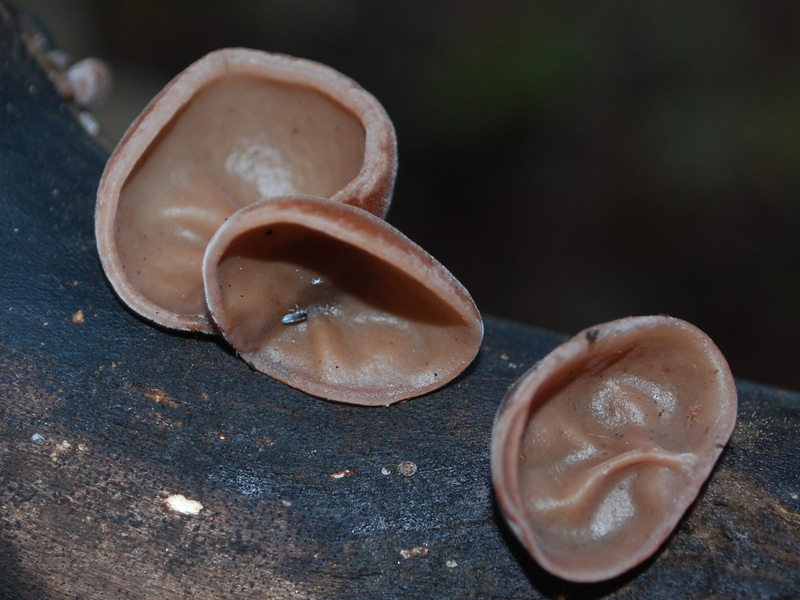 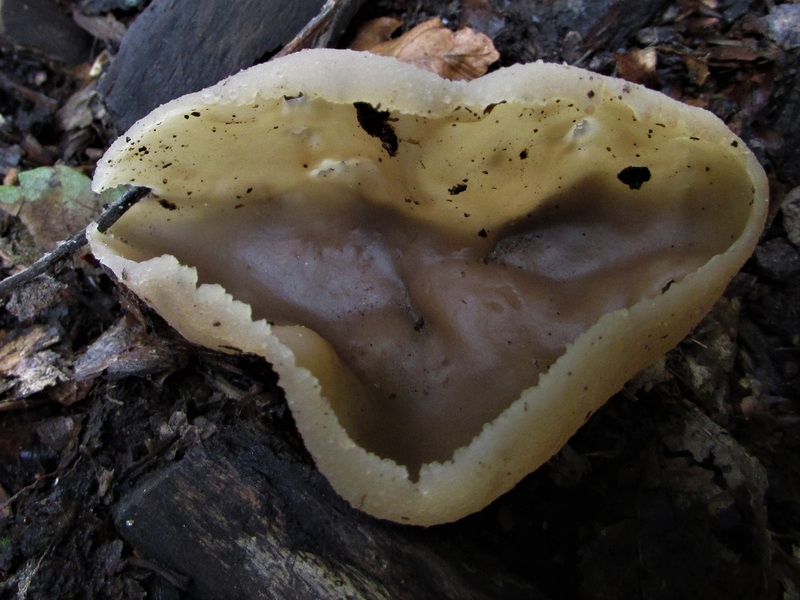 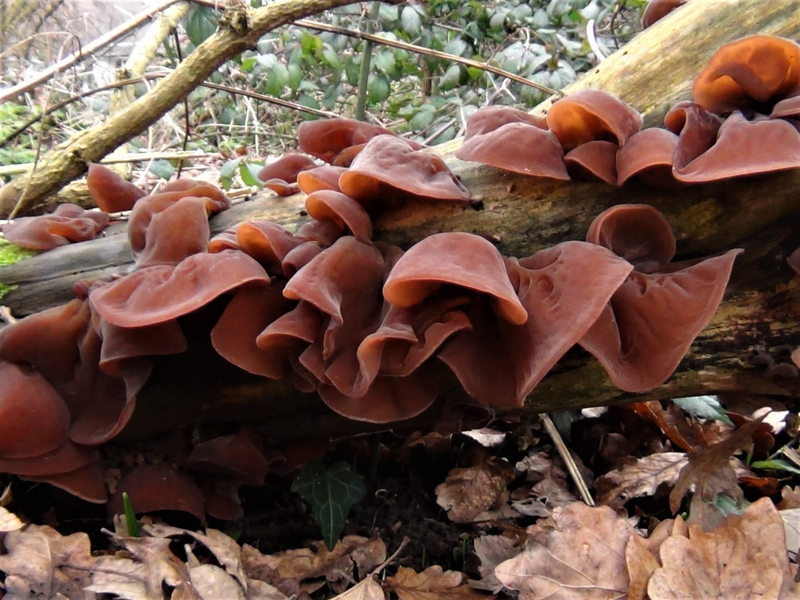 The fruiting body is ear-shaped, smooth or undulating, covered in very fine down and is tan, red/brown in colour. 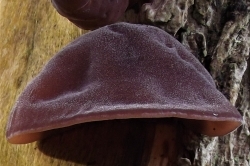 The underside is smoother and lighter than the top surface. 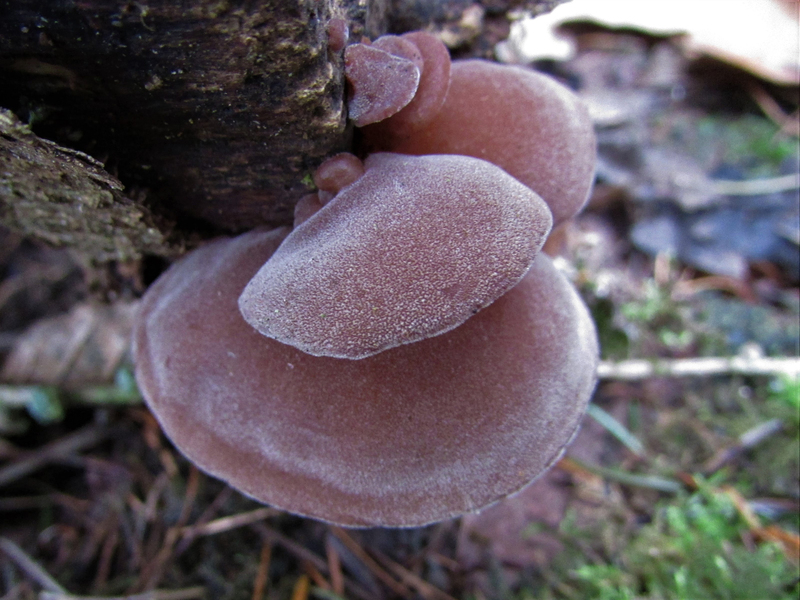 Translucent, thin and jelly like. 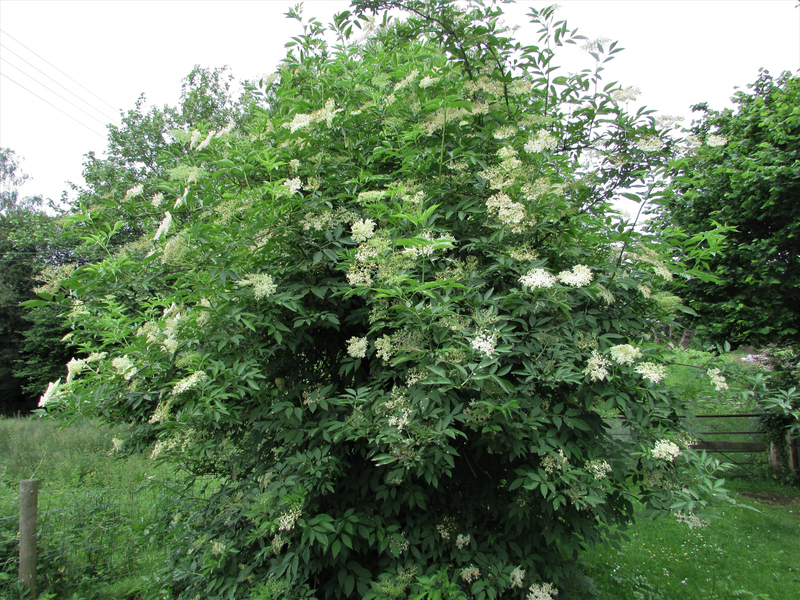 Mainly growing on dead or living elder in large numbers but can be found occasionally on other wood. 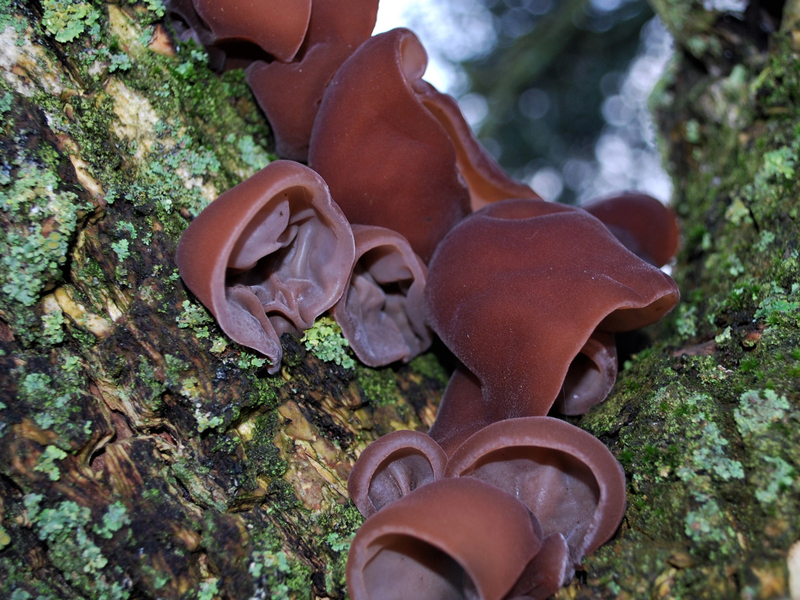 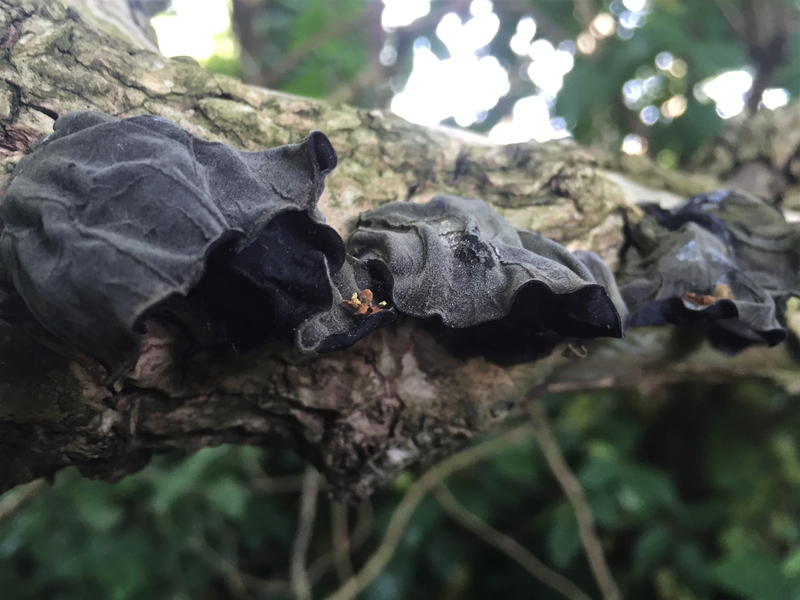 As long as you only collect these from elder trees they can only be Wood Ears. 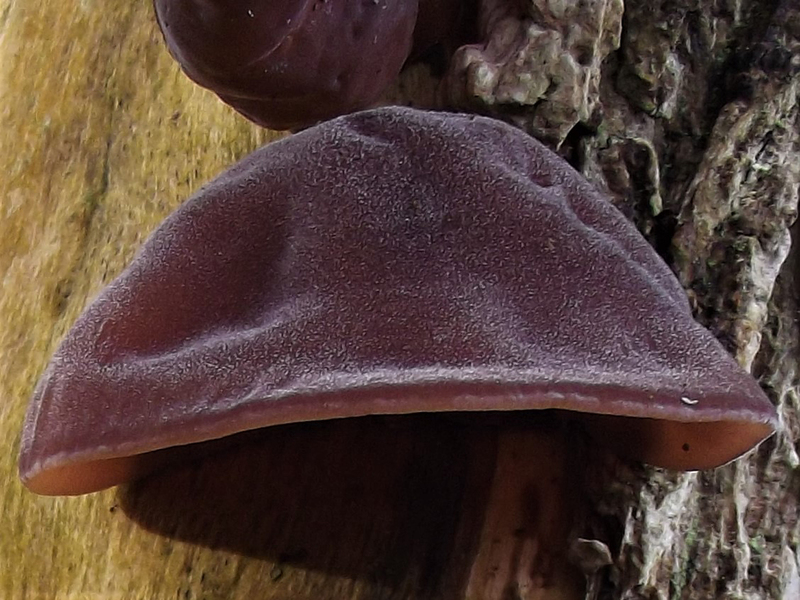 Some Pezizas, pictured, can look similar but these don’t tend to grow on elder and grow with the ‘cup shape’ facing up, the Wood Ears face down. 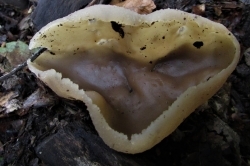 Not strong but good if used in Asian style cooking or dried, ground to a fine powder and used as stock. 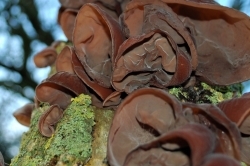 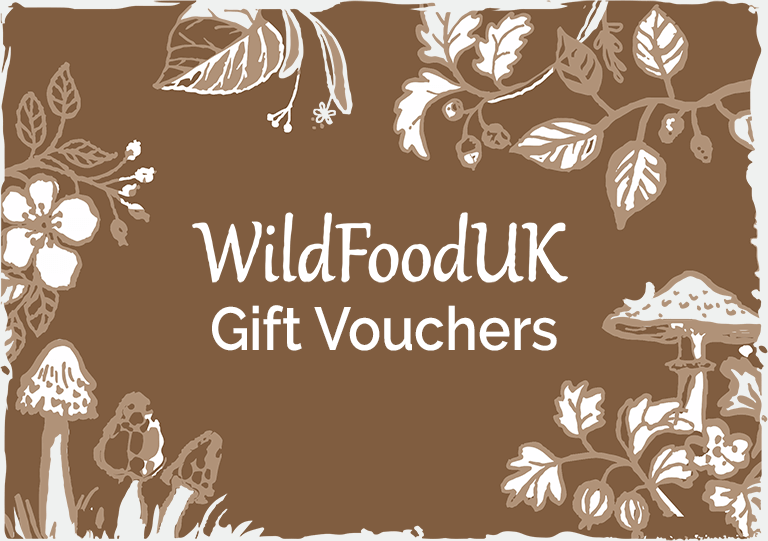 Can be picked in its dry state and re-hydrated when needed or picked fresh and dried at home. 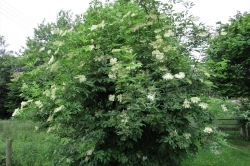 Can withstand frosts and grows all year round. 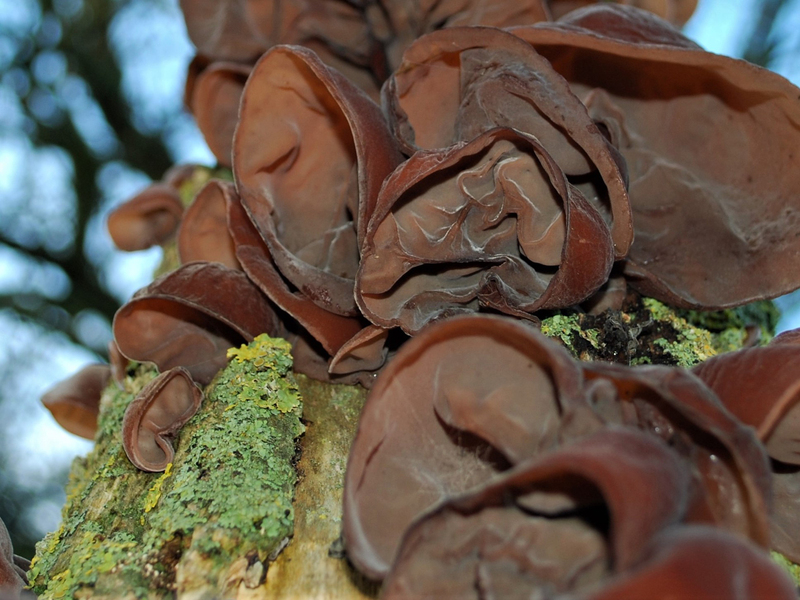 Named after the apostle, Judas, who allegedly hanged himself from an elder tree.